I spend a good amount of time surfing the Internet in search of the latest fashion doll offerings. Although there is an abundance of art in this medium, the vast majority of what I come across I can quickly pass on. This is most likely because I prefer realism in my dolls’ features. There is the occasional exception, but in general my collection consists of dolls with uber-lifelike features. I adore dolls that look as if they might speak. Asian dolls with animal heads just don’t do it for me. Once in a while in my endless Internet searches, I come across what I consider to be a hidden gem. To be sure, some of these doll artists may have large followings, but they are new to me. Many of these dolls are by foreign artists, and I think it’s fascinating to have a window into the doll art being produced by artists in different countries. It is sometimes easy to identify the national origin of these dolls based on their aesthetic. For example, anime-inspired dolls most often hail from Japan or other far-east countries. Other nations, like Russia, can produce a wide range of dolls, from the highly stylized Popovy to the uber-realistic dolls I feature below. Popovy – You can’t afford her. Below I highlight three artists producing dolls that have recently taken my breath away. Most of these dolls are out of my price range, so the closest I’ll likely get to seeing one is on my computer screen. And they should command a healthy price, as most are made by hand, the artist sculpting and painting each one personally. First up are the porcelain dolls by Russian artist Natalia Loseva. Sadly, her blog is written in Russian without translation, so I can only guess about her artistic process and inspiration. But there is plenty of eye candy that transcends any language barrier. Although firmly grounded in realism, I find Loseva’s porcelain girls to possess an ethereal quality that draws me to them. Their wistful expressions and purposeful stares convey both strength and gentleness. They seem to have stories to tell. I love dolls that pack an emotional punch—and Loseva’s girls definitely do that for me. Another artist from Russia who creates her porcelain BJD dolls by hand—up to and including their wigs and their photography—is Anya Kozlova. Kozlova calls her dolls “Dea Vivente” (Italian for “living goddess”). The name is fitting, as her dolls’ wide hips, full breasts, and wistful expressions reflect traditional representations of goddesses throughout the ages. In her blog, Kozlova writes that her dolls “represent genuine and healthy women living in harmony with themselves and the world, having a grown mature body with fluent and natural lines. Born for admiration and respect, they are full of dignity, honour and inner strength. Sensitivity and sensuality coexist inseparably in them: softness, tenderness and delicacy from one side, from the other side – fire and passion.” To me, Kozlova’s girls are firmly rooted to the earth, embodying strength and femininity. Kozlova illustrates that collectible dolls can be “big” (a relative term) and stunningly beautiful at the same time. You can follow Kozlova’s work on her blog or Facebook page. My third “hidden gem” is less hidden than the previous two. But I’ve found that many people are still unfamiliar with DeMuse doll. Malaysian artist Nigel Chia is the genius behind this resin BJD. The coolest thing about this artist is that he designs for both doll and human alike, and when you visit his website, you can see how the human and dolls worlds reflect the same artistic vision. Chia says that he began designing for dolls before creating his human-scale fashions, mostly because he lacked the funds to create for people while he was still in school. Chia is not for everyone—he adores fuchsia and frothy designs that can turn his models into walking flowers. (Which is the whole point of his latest line, “tulipdelphy.”) While not all of Chia’s work is for me, I am drawn to his ball gowns, and one of his sculpts (while bitchy) blows me away with its uber-realism. 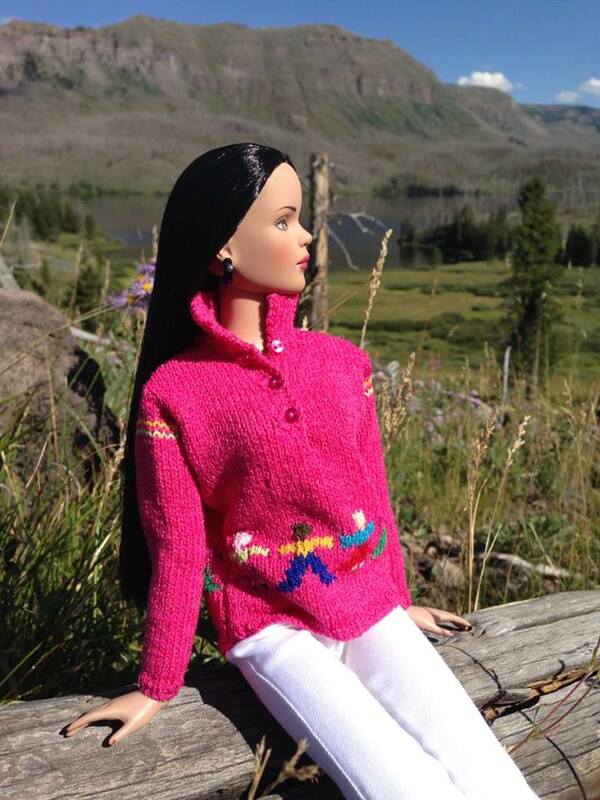 I am continually blown away by the tremendous talent in the fashion doll world. Dolls are an art form that encompasses the talents of sculptors, painters, designers, photographers, wig-makers, jewelers, diorama-makers, and others. What other art form can say that? If you have a favorite “hidden gem” artist, let me know so I can feature their work as well. Happy hunting!